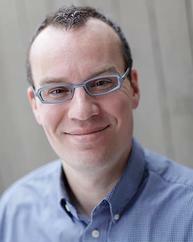 This month our store was lucky enough to host W. C. Bauers, a debut author out of Colorado Springs! 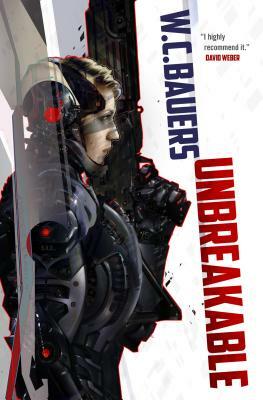 Bauers is the author of Unbreakable, a military sci-fi novel that follows the rise of an interstellar war and the space Marine Corps at the heart of it. Bauers was kind enough to take the time to answer some of our questions. OFB: What steps did you take in planning the world of your novel? WCB: The idea for UNBREAKABLE came to me in fits and starts. First, there was Promise. I knew she was an orphan with a troubled past, and she was looking to get off-world. Beyond that Promise was a mystery. It took months to get to know her. I don’t recall the moment I knew she’d enlist; only that it made perfect sense for her to do it. What better way for Promise to start over and see the ‘verse than to join the Marines. Then the real, down-in-the-trenches world-building began. The Republic of Aligned Worlds Marine Corps or RAW-MC was born. So was the Lusitanian Empire. Promise’s company came to life: Maxi, Kathy, Tomas, and the rest. I borrowed some customs and culture from the U.S. Marine Corps and Navy traditions, but also from the U.K.’s Royal Marines. Why totally reinvent the wheel? Jean Johnson’s advice about writing SF set me free to write and explore and take risks in what is a very detail-oriented genre. Johnson’s “Rule of Cool” states that conventions hold true until you decide to pitch them for something “cooler.” Because what’s cool is the ultimate trump card. So, for instance, A U.S. Marine would never wear a beret; they’re for special operators like the Green Berets and the U.S. Air Force’s Pararescuemen, or PJs. But, I like them, so in UNBREAKABLE my Marines wear a white beret. Once the first draft was done, I went back and tore it apart. Gave it a solid structure and framed the walls with history and culture – some borrowed and a lot new – and a heavy dose of military tech. I talked with service men and women from every branch, listened, took notes, read a number of books on history and several war memoirs, and then went back to the page. Coming from a military family gave me a foundation to build upon. And, I did my homework. OFB: How do your interests outside of writing (for instance, your website lists Taekwondo, military history, and French-press brewing) influence your book? I can’t imagine writing fight scenes without it. Military history is a key ingredient to a good Mil SF. At least I think so. History is one of the reasons I enjoy David Weber’s books so much. I always learn a bit of the history of warfare while being thoroughly entertained. And, coffee. Well, Promise and I have that in common. We both love good “caf.” Many late nights were spent writing UNBREAKABLE. OFB: Unbreakable has been compared to Starship Troopers, Firefly, and the works of David Weber. Did any of these similarities cross your mind while you were writing? Being in the same sentence with Heinlein is a real honor…though I wonder sometimes if I deserve the comparison. He was a grand master of SF. Heinlein’s STARSHIP TROOPERS was a realistic tale of war…with a lot of bugs. I was after something realistic too. Just no bugs. OFB: What advice would you give would-be authors out there, especially those interested in writing science fiction? WCB: Be careful who you listen too AND hold your work with an open hand, not a closed fist. When I was shopping for an literary agency to represent UNBREAKABLE, one of the top SF agents in the industry told me my book probably wasn’t marketable, and she/he doubted it would sell. I thanked him/her for the feedback and promptly disregarded it, and I’m glad I did. Months later, The Cherry Weiner Literary Agency took interest. Cherry put me through the paces before she signed me. I listed to her feedback, edited and cut and developed this chapter and chucked that one, and the book got better. Two weeks after Cherry signed me I had a deal with Tor Books. I recognize how insanely fast that is. Two weeks is not the norm. Sometimes its months or years so be prepared to be patient. I’ve been very blessed. Start to finish, I spent a solid year finding an agent. I can’t stress enough how important Cherry has been to my career. She opened the doors. She’s one of my biggest advocates. Cherry is tops. OFB: Would you rather time travel (consequence free) or visit another planet inhabited by friendly, intelligent life? Why? WCB: The idea of time travel sounds good on the surface. But, I think knowing the future would ruin everything. So, scratch that. Definitely aliens. I’ll take pleasant aliens behind door number three. They don’t all have to be bad, or monstrous bug-like killers with an insatiable thirst for human blood. How about some nice aliens for a change. Ones who care as much about art and literature and the poor as we should. Don’t miss more author interviews! Follow us here or on Facebook or Twitter. Previous 2014 was our best year, and it’s because of you!